Karin Entertainment, a company whose history with the West turns out to be quite interesting. Yesterday, we posted our impressions piece about London Detective Mysteria from XSEED Games. While I found the game to be a pleasant surprise, there was a lot more I could have talked about. Namely, regarding its developer Karin Entertainment. So today, I want to touch upon Karin Entertainment since what I’ve found out about them is fascinating. Karin Entertainment actually has had one of its titles localized in the past. It was even rated by the ESRB. 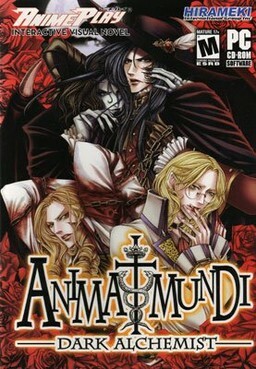 Animamundi ~Owarinaki Yami no Butou~ was released in Japan in 2005 and looks to be one of Karin Entertainment’s earliest titles according to VNDB.org. This was later released in 2006 as Animamundi ~Dark Alchemist~ for the PC by now-defunct publisher Hirameki International and was even rated by the ESRB as a Mature title. The reason for that rating can be seen in the plot. The short version is that count Count Georik Zaberisk’s sister Lillith is accused of witchcraft and this story being set in gothic times ends up with her being beheaded and burned. However, that’s just the setup. It turns out Lillith’s head survived. So now, in order to restore the body of his sister Count Zaberisk decides to delve into the art of alchemy. But, you know what the crazy part is? Lillith is voiced by Yui Hoire. Yes, the voice of Nepgear, Raika, Salamandinay, and Chie, voices the decapitated head of a girl named Lillith in an otome novel. Consider my mind blown. But why spend so much time highlighting a game from 2005 you may ask? 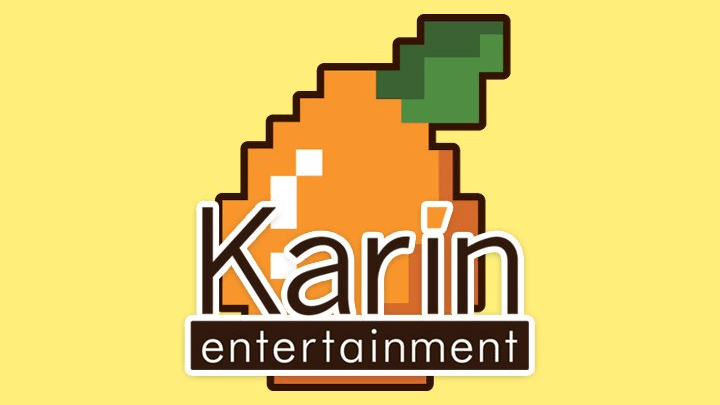 In short, it shows not only the roots of Karin Entertainment but their creativity and the kind of talent they attract to work on their games. This is doubly impressive when you consider that these titles have nothing to do with Otomate. A fairytale otome and it has yuri routes?! Why is this not in my hands right now? 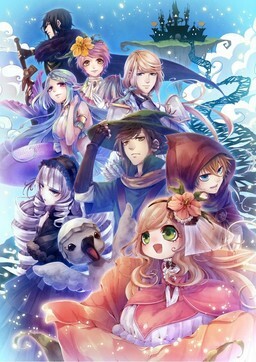 Zettai Meikyuu Himitsu no Oyayubi-hime (roughly The Absolute Secret Mystery of Thumbelina I believe) was released in 2015 for the PlayStation Vita. As such, it’s one of the only other titles of Karin Entertainment’s that I think XSEED Games could reasonably localize. Many of their older titles being for the PSP or are PC-only titles. So, what’s this title about? From what I can gather through some brief research it seems to take characters from various fairy tales and folklore and utilize them as part of its plot. Much like how London Detective Mysteria uses people like Holmes, Watson, Lupin, etc. The plot revolves around a young girl named Charlotte who one day shrinks until she’s about the size of a thumb. People start calling her Thumbelina and she becomes quite popular. In fact, maybe a little too popular. One day, the village is attacked by soldiers while Thumbelina and her childhood friend, the Little Match Boy, are out. Figuring that the soldiers are after Thumbelina, the Little Match Boy heads into the forest with her, hoping to find a way to change Charlotte back. Along the way, they meet other iconic characters and of course, Charlotte will fall in love with someone. That said, the few reviews I read about this one were mixed. The main things I read stated there were some serious plot holes, the common route was quite long, and, interestingly enough, there are two yuri options. Even so, this setup sounds like it could be quite entertaining. I can see a lot of lighthearted and comedic opportunities here due to the setup. Plus, I’m really curious how an otome developer would handle a yuri route. Since I tend to like emotionally-driven stories, I’d love to see how this plays out. While we obviously have to wait and see how London Detective Mysteria does, I’ll cross my fingers for this one down the line. But let’s say that doesn’t happen. Is there anything else Karin Entertainment can bring over? Of course! There are the three BL titles that Karin Chatnoir Ω have done for the PC. With the announcement of JAST Blue and MangaGamer announcing Lucky Dog 1, BL is getting ready to have its own push in the West. The timing, I think, couldn’t be better for Karin Chatnoir Ω to make its debut here and tap into an underserved market that is starving for content. Anyway, let’s wrap this up. Karin Entertainment is, as I said, a fascinating company. While it’s been awhile since they’ve been involved with the Western market I’m happy to see another player in the space. Especially since it’ll break up to monopoly Otomate has on the market right now. Hopefully, it won’t be the last time Karin Entertainment allows its games to be localized either. Zettai Meikyuu Himitsu no Oyayubi-hime sounds like it could be really interesting and I’m sure the BL fans out there would love to try out Karin Chatnoir Ω’s titles. While we need to see how successful London Detective Mysteria is here in the West first, I’m gonna cross my fingers that this won’t be the last project the West sees from this developer.